The following is a list of Current Communist Goals as revealed by Dr. Cleon Skousen in The Naked Communist, written in 1958 and read into the Congressional Record in 1963. Of the 45, I can provide specific examples to at least 40 of them. While they may be masqueraded under the guise of something other than communism, the final result is the same – the dissolution of the Constitutional Republic that is the foundation of the United States of America. It’s interesting that the Representative was a member of the Democratic Party, the very party that has been largely enveloped by those with Communist and Socialist beliefs. Let’s see where we are in 2013. As you read, keep in mind that this list was written in 1958. Joe Biden in Richmond with John Cougar Mellenkamp and OFA volunteers can’t give away tickets. I was at an afternoon craft beer festival in downtown Richmond, Virginia this afternoon, just the sort of event you would imagine to find plenty of Obamaroids.At the event i was approached by an attractive young OFA volunteer handing out tickets for a frree John Cougar Mellencamp concert hosted by Mr. and Dr Biden in Richmond tomorrow night(election eve) in Richmond. The response was less than enthused, dozens and dozens of beer festers were offered free tickets and in all but a few exceptions the free offer was declined, over and over again, the beer fest participants declined the offer. This looks like another Stevie Wonder type debacle for the Obama campaign on the eve of the election. 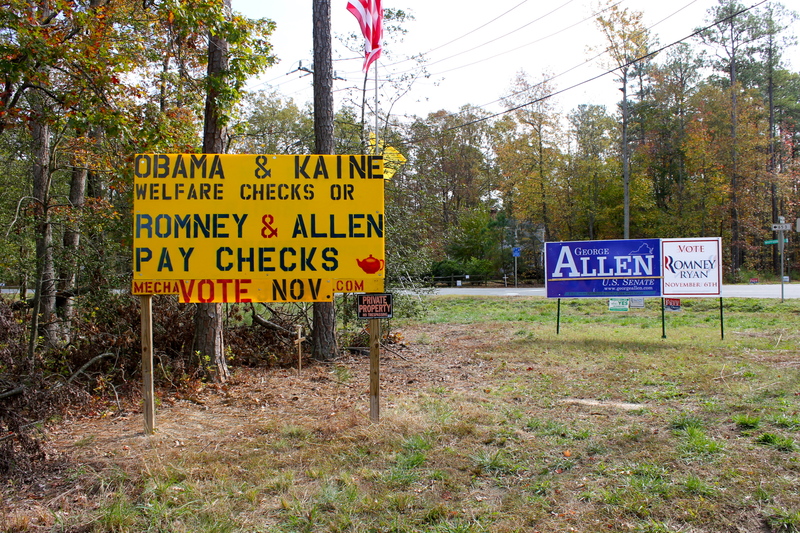 One sure sign of an enthusiastic voting base is the presence of grass roots, homemade campaign signage. 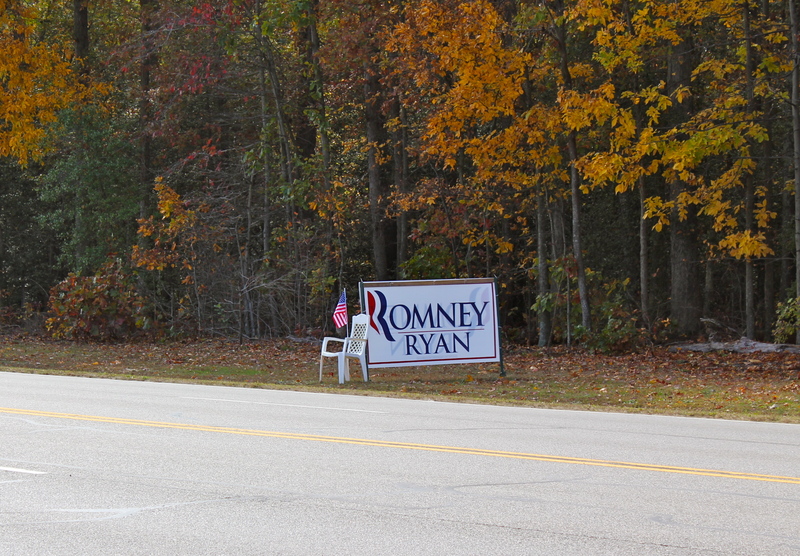 During Scott Brown’s historic U.S. Senate victory in 2009, there were homemade Brown for Senate signs all over Massachusetts. 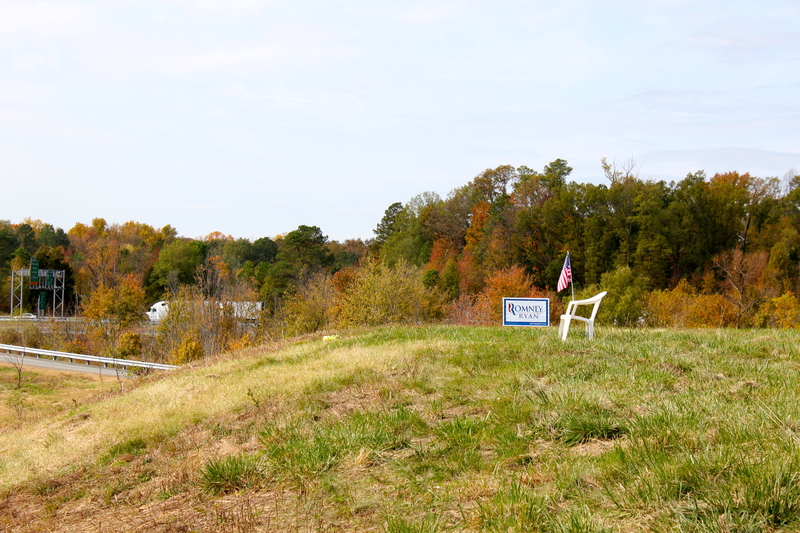 Now, in Virginia and around the country we are seeing homemade signs being produced and exhibited either in support of Romney and/or against the incumbent. 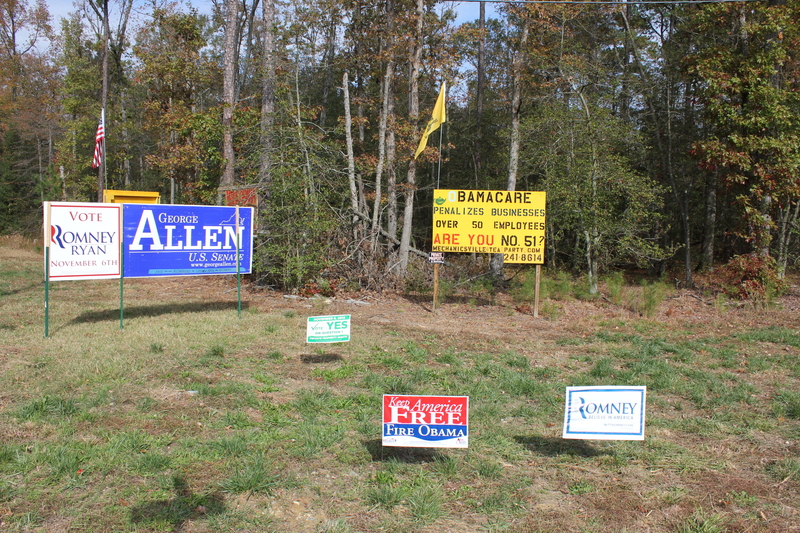 The Tea Party groups have been posting their hand stenciled yellow bill boards and Gadsden flags for some time. 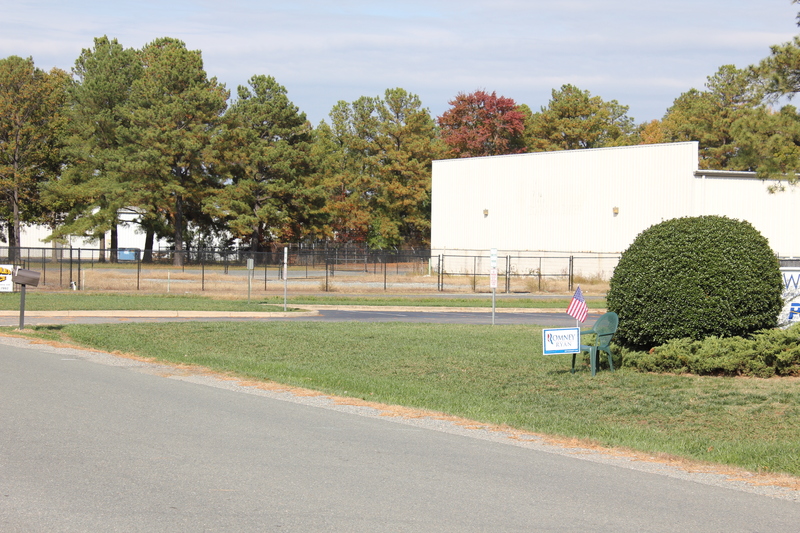 Just this weekend I observed empty chairs (see Eastwooding) appearing around Richmond accompanied by Romney signs and American flags. 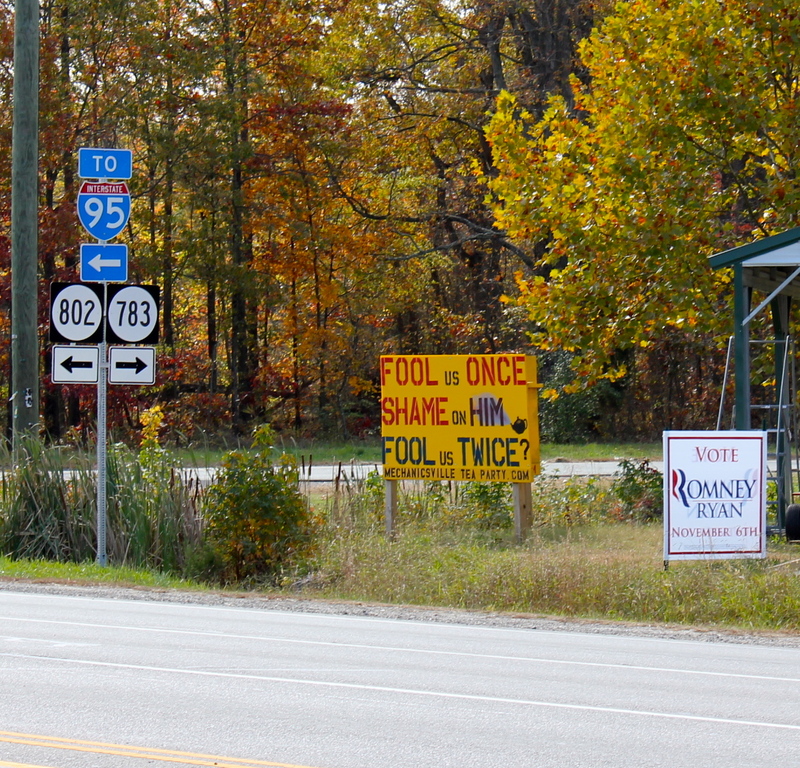 On the other side, I have not seen any thing other than OFA produced signs. Enthusiasm and intensity wins elections and it appears to be with the challenger! Changes, from Obama and those who support his feckless policies. Crowder is back and better than ever! This is really starting to feel like 1979/1980 again.